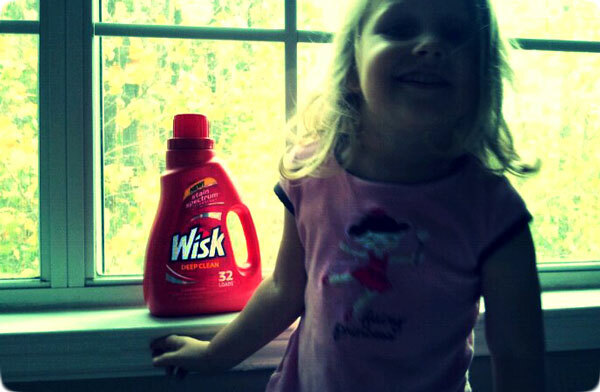 This is the third in my series of Wisk sponsored posts. You can find the first two here: Pre-Review of Wisk with Stain Spectrum Technology and Wisk Protein Science Experiment. 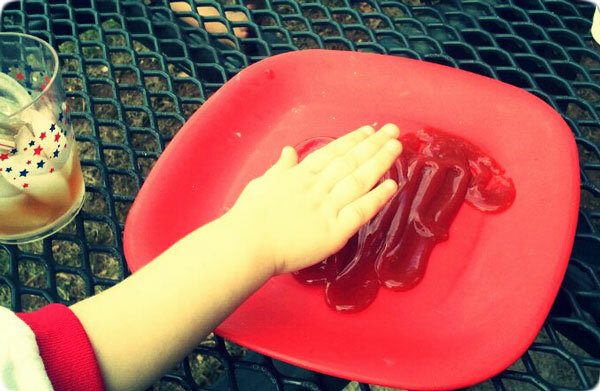 The way this experiment/demonstration was supposed to go is we cookout, eat some burgers and then let Cara make a nice, neat swipe of ketchup down the front of the provided shirt. The end result was the same, right? 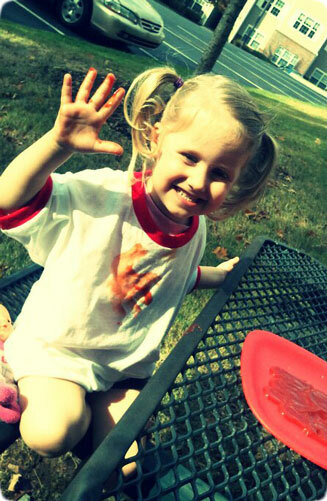 Either way a big thing of ketchup was going to end up on that bright white shirt. 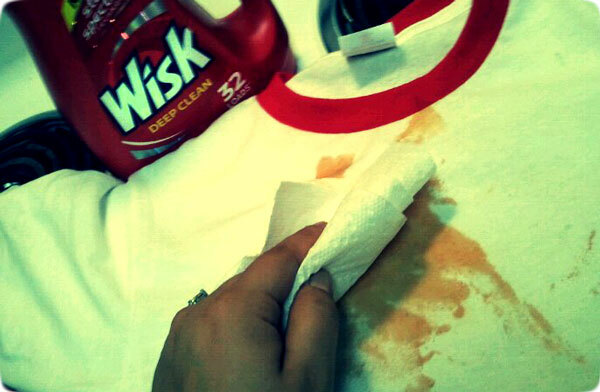 and then pretreat the stain with a healthy dose of Wisk. Point of interest: that stain right up around the collar is a day old since we were going to do this yesterday and Cara took it upon herself to start staining the shirt. 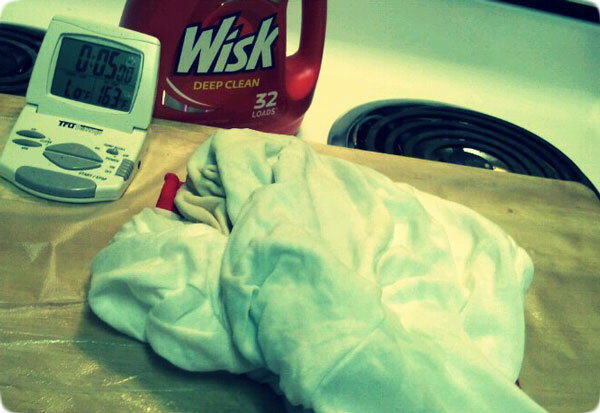 After the Wisk was on the stain, I scrubbed the shirt together for about 30 seconds and set the timer for five minutes so the Wisk could soak into the stain and work its magic. 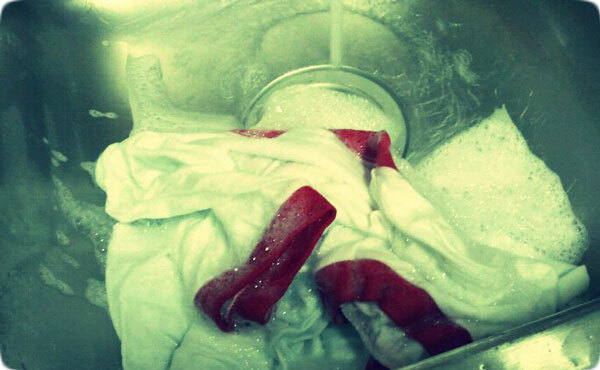 After the five minutes, I rinsed the shirt in lukewarm warm water until all the suds were gone…which took a while since Cara made a huge stain so I had to use a lot of Wisk. Thanks, Cara. 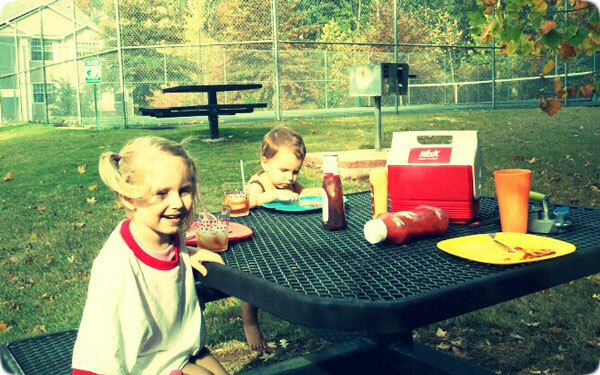 I wrang out the shirt and put it back on my cutting board to see if all the ketchup was gone…including the day old, set in ketchup stain. Cara says, “TADA!” and made me take a picture of her and the bottle. 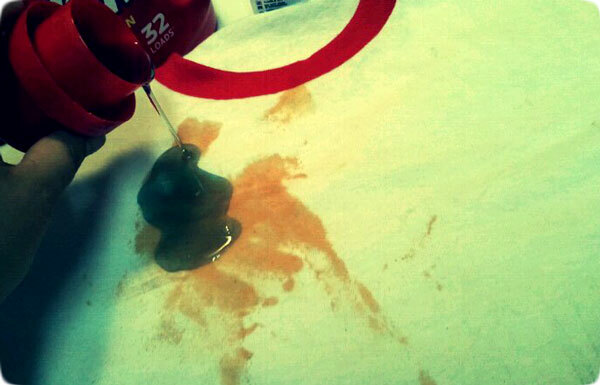 She says she loves it because it smells good and the bottle’s red. Wisk worked like a charm but I already knew it would. 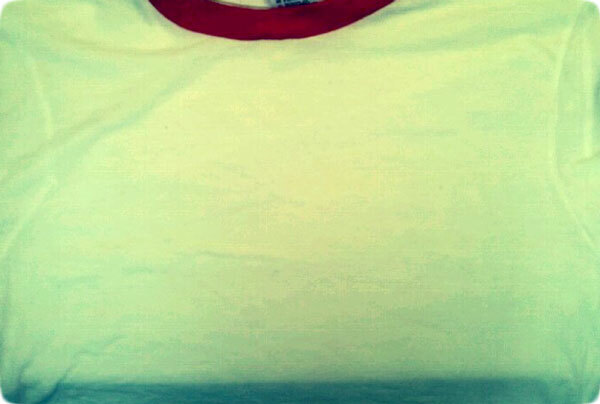 It’s taken old oil stains out of my favorite shirts, old blood out of all kinds of clothes and obviously it isn’t fold of ketchup.